State Representative Christina Hagan, one of President Donald Trump’s most enthusiastic Ohio supporters during the campaign, has announced her intention to run for Congress in Ohio’s 16th Congressional District. The current Representative from the 16th, Jim Renacci, has announced his run for Governor which has created a flurry of speculation for who will be the next Congressman from the area. Representative Hagan has made a name for herself not only in Northeast Ohio, but around the state. Hagan’s resume is full of notes that make her one of the more notable Representatives in Columbus. 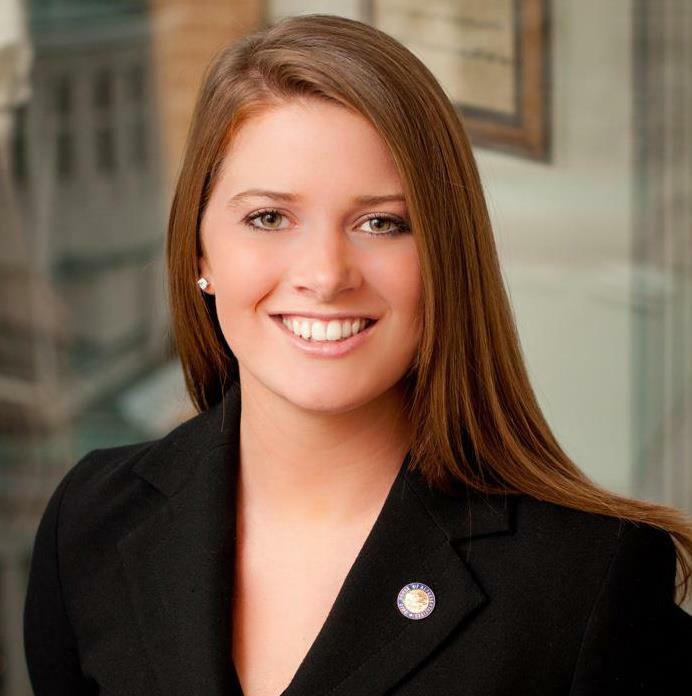 Hagan was appointed to her current seat in 2012, making her one of the youngest to serve in Ohio’s history. Hagan has also been on of the most prolific pro-life public servants in Ohio, as well as one of then Candidate Trump’s most energetic spokespeople on the Ohio campaign trail. Hagan’s entrance in the 16th district’s race will soon be crowded by other contenders. Several other names have already been discussed, with each having as much, if not more name recognition than Hagan. Lt Governor Mary Taylor, although now currently in the beginnings of a gubernatorial race, is a popular name for the seat. Other names include State Representative Tom Patton, State Senator Frank LaRose (although LaRose is now campaigning for Secretary of State), Senate President Larry Obhof, Wayne County Commissioner and former State Representative Ron Amstutz, and even Cuyahoga County Chairman Rob Frost (the district runs clear into Cuyahoga county). At this point, it may be easier to discuss which politicians from in and around the district are not considering running for the seat. 2018 will have several competitive races, for Republicans at least. At this moment the Democrats’ shallow Ohio bench is embarrassingly apparent; no legitimate name has emerged as a contender for the 16th race. Beyond Northeast Ohio, the Democrats’s bench for statewide offices is just as poor; the best that has been able to step up for the Democrats include a recently defeated Congresswoman and a State Senator. What do you think? Take our survey! I was born and raised in East Liverpool, Ohio. I received my Bachelor’s degree from Youngstown State University and my Master’s degree from The University of Akron. Since college I have worked in the political field with campaigns, the party, and conservative groups.